Create an extraordinary trade show experience. 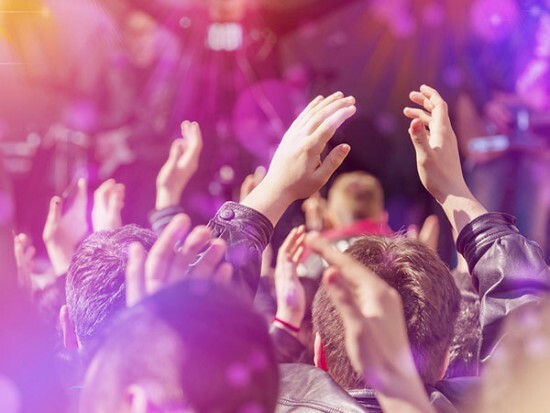 Using effective event technology and promotions can increase attendance by 20% and reduce costs by 20-30%. From the pre-game to the show floor and way after the afterparty, creating an inviting, engaging space to interact with your audience combined with effective lead generation and nurturing strategies can propel your promotions to the prime example of a great brand experience at the event. Our dream team of trade show experience experts will create a road map for your event experience and develop the digital and tangible pieces to bring it to life. From inviting trade show spaces with vibrant video presentations and great give-aways, to corporate apparel for your company representatives and online advertising or email marketing to promote the event, every consideration will be taken to build a memorable, positive, engaging experience with your audience. We will concept, create, coordinate and fulfill everything needed to present a stunning symbiotic presentation of your products and services. This will create the extraordinary trade show experience you are looking to achieve. Check out our blog post on Trade Show Techniques That Work for specific tips to enhance the trade show experience, or contact us today for a free trade show experience consultation.